We were in the preoperative area of my hospital, where my patient – brightly alert, with a colorful headband and bright red lipstick – was about to undergo surgery. Her skin had broken down on both legs due to poor circulation in her veins, and she needed skin grafts to cover the open wounds. She had a long list of cardiac and other health problems. This would be a painful procedure, and there would be no way to numb the areas well enough to do the surgery under local anesthesia alone. My job was to figure out the best combination of anesthesia medications to get her safely through her surgery. Her daughter was convinced that a little sedation would be enough. I wasn’t so sure. Though “twilight” isn’t a medical term, people often use it to mean sedation or light sleep as opposed to general anesthesia. Most patients don’t want to be awake, even if their operation doesn’t require general anesthesia. They prefer an intravenous “cocktail” to make them oblivious to pain and unaware of anything that’s happening. Today, the main ingredient is likely to be an anesthetic medication called propofol. Propofol came on the U.S. market in 1986 and revolutionized anesthesia care, though the public heard little about it before the deaths of Michael Jackson and Joan Rivers. For the first time, we had a medication that allowed patients to sleep through unpleasant procedures like colonoscopies and wake up quickly with no nausea or “hangover”. But we soon learned that propofol causes other problems. In older patients and anyone with heart trouble, propofol can make the blood pressure drop dangerously low. It also reduces the drive to breathe. Trickling propofol into the IV line in exactly the right dose to keep a patient breathing well but not moving during surgery – that can be a real challenge. There’s no magic way to mark the moment when a patient under propofol crosses the thin line between comfortably sedated and deeply unconscious. This can progress quickly to the point where the patient is not breathing at all. The results can be catastrophic. So is propofol sedation really “sedation”? Or is it really general anesthesia with an unprotected airway and no way to control breathing? General anesthesia without a safety net? Part of the problem is confusion about the term “sedation”. Before propofol, when procedures were done under local anesthesia with sedation, surgeons used local anesthesia to numb the target area, and patients received medications like Valium or Demerol which helped them relax and eased any discomfort. But the patient was still awake. This technique is referred to today as “conscious sedation”. Propofol sedation is different. Today, when surgeons say an operation can be done under “sedation”, they assume the patient will be asleep under propofol. The same is true for the gastroenterologist who needs to perform an uncomfortable endoscopy. Understandably, they want their patients asleep and still. Few patients want to be awake. On goes the propofol drip, and everyone is happy – most of the time. 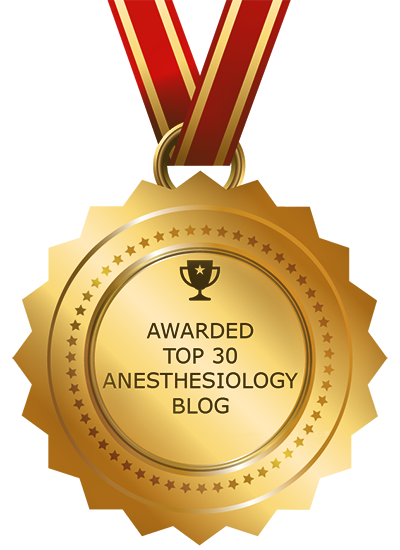 What’s the difference between deep sedation and general anesthesia? Not much except semantics. If my patient is unconscious, then I’ve induced general anesthesia. But wait. What about the nasty-smelling anesthesia gases, breathing tubes, and postoperative nausea? Don’t they always go along with “old-school” general anesthesia? Anesthesiology has come a long way from the days of ether and chloroform, which made everyone vomit. Modern anesthesia gases like sevoflurane and desflurane are far more pleasant. They’re often tolerated better than propofol in terms of maintaining normal heart function and safe blood pressure. They clear out of the body quickly with normal breathing at the end of the operation. Medicine has become so specialized that most physicians have little training in anesthesiology unless they enter the field. Many doctors never step into an operating room again after they finish the basic surgery rotation in medical school. They aren’t familiar with today’s operations. Even “minimally-invasive” surgery often requires general anesthesia and a breathing tube. 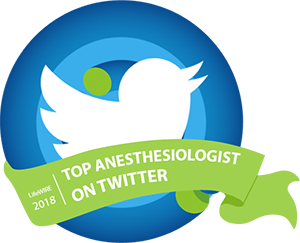 Some physicians assume – and advise their patients – that sedation is always preferable to general anesthesia, even though that isn’t true. There’s no reason to fear anesthesia, but every reason to respect it. The best choice of anesthesia technique will vary depending on the patient’s health and the type of procedure. My 85-year-old patient? I decided to use a propofol drip, at a dose that made her completely unconscious. She couldn’t have tolerated the surgery otherwise. I took her blood pressure every two minutes, watched every breath she exhaled with a carbon dioxide monitor, and adjusted the propofol dose up and down to match the level of surgical stimulation. Airway equipment was ready in case her breathing needed support. With all those precautions, my patient survived her surgery and woke up just fine. But I wouldn’t call her anesthesia “twilight”. 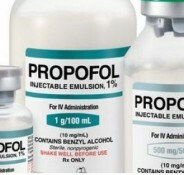 Propofol alone can be often hazardous when the pain levels suddenly increases. Hence I use it in combination with very small doses of isoflranre.